Aible, the innovators of AI for business impact, announced a partnership with Tableau, the leading visual analytics platform. With this new partnership, and just a click of a button, Tableau users can amplify their investments and seamlessly supercharge their data with AI. This news comes after Aible officially launched earlier, announcing the industry’s only Real World AI trained for measurable business impact, not simply accuracy. To date, AI has been trained to achieve the highest accuracy, but this unrealistically assumes that all costs and benefits are equal. In business, the benefit of a correct prediction is never equal to the cost of a wrong one. An AI trained for accuracy would never recognize this cost-benefit tradeoff. 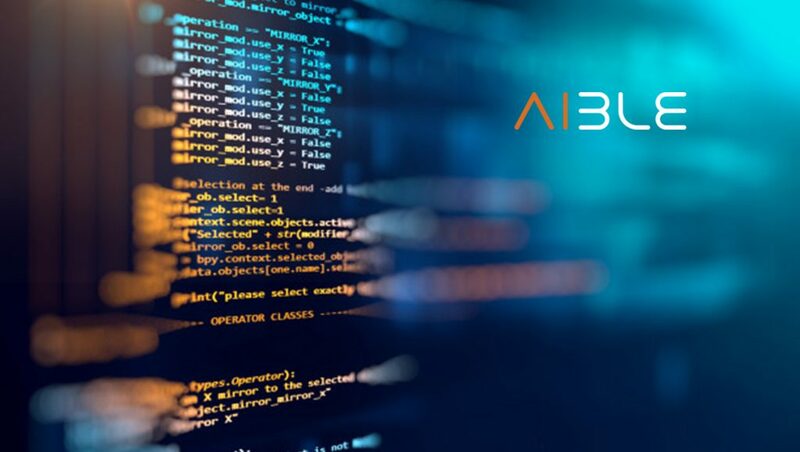 Aible allows business users to create custom AI based on a company’s real world cost-benefit imbalances and operational constraints. This innovative model for Real World AI helps business users understand the implications of the AI before deploying it. Aible makes AI accessible to anyone with a business problem to solve and curiosity, no previous training or data science experience required. Tableau customers will now be able to leverage Real World AI from within their Tableau environment, seamlessly integrating AI and BI as a single platform. Easy access to Tableau data – With data already in Tableau, users can supercharge their data with AI with just a click of a button. Real cost/benefit tradeoffs – The benefit of a correct prediction is never the same as the cost of a wrong one. Aible optimizes for the net business impact of the AI, incorporating cost/benefit differences, allowing users to make better business decisions. Real operational constraints – Aible crafts an AI that respects real world operational constraints, such as finite marketing budgets or sales capacity, and recommends optimizations. Real model requirements – Regulated industries need auditable models. Customer service needs real-time results. Aible ensures that AI conforms to every user’s unique needs. Training within budget – Aible recommends and enforces AI training based upon each user’s budget. Select AI for business impact – The winning AI optimizes for business impact, not model accuracy. AI trained on accuracy does not result in the maximum positive business impact by pursuing additional opportunities. By training on net impact, Aible delivers AI with the greatest net benefit for your business. Deploy with ease – Aible can predict outcomes for any future scenario, allowing users to view the information immediately via a simple, easy-to-view dashboard. Users can also deploy the AI as a Dockerized image that can run in a customer’s AWS environment.